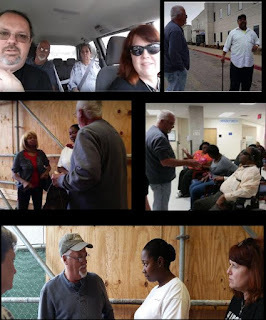 After prayer and worship in the morning we ventured to the VA hospital to pray for people. It was an amazing day for #Jesus. Our faith is growing the more we step out in faith. We are glad to have met Garry and Nancy Nesbit. We are learning a lot from them. I tried to capture a lot of this amazing day with my phone.. check it out. #TeamJesus at the VA - miracles still happen from conrad carriker on Vimeo.